SB 10 Passes House and Senate! Today marks an important day for the history of the Everglades. 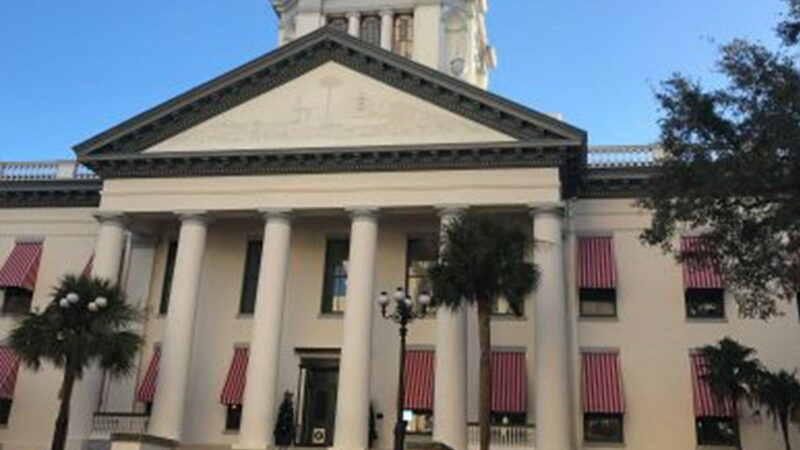 The Florida House of Representatives followed the lead of the Senate and passed Senate Bill 10. This bill provides $800 million in funding to create a dynamic reservoir south of Lake Okeechobee, in the Everglades Agricultural Area. The reservoir is needed to provide freshwater to Florida Bay, and to alleviate discharges to the Caloosahatchee and St Lucie Rivers. Captains for Clean Water was founded just over a year ago. When we started, many anglers did not understand the importance of the Everglades, and how the flow of water throughout the state affects our fisheries. Environmental groups have struggled for decades to get this done. Anglers and fishing guides are heavily impacted by the faults in Florida’s water management system but have never organized and spoken up on this issue. From the unnatural Lake Okeechobee discharges to the man-made hypersaline conditions and seagrass die-offs in Florida Bay, Florida’s fisheries have taken a beating in the past year. Understandably, fishing guides became angry- as their offices were being destroyed. Recreational anglers were also stripped of opportunities to have successful days on the water with family and friends. Captains for Clean Water provided an opportunity for folks to get involved. We brought hundreds of people to Tallahassee, we organized letter-writing campaigns and encouraged people to call their legislators. But most importantly, we educated anglers and raised the level of awareness and concern in the angling community to unprecedented levels- an achievement that is far greater than any piece of legislation that will ever be passed. As we take a moment to celebrate the passage of this bill, take a step back and consider how far we’ve come as a community in the last year. Captains for Clean Water started as a group of fishing guides in Southwest Florida with no experience in community organizing, advocacy or legislative affairs. To top that off, we didn’t start with a small project either- we picked the largest environmental restoration project in the world to tackle first because we wanted to make meaningful change. We were very fortunate to be able to put together a passionate, experienced and well-respected board of directors, as well as a team of advisors who provided us with invaluable guidance along the way. The angling community has transformed immensely in the last year. With help from our ambassadors, as well as companies such as Mustad Hooks, YETI, Orvis, SeaDek, Simms, Costa and many more, Captains for Clean Water pushed this issue to the forefront of the angling community. We received support from all over the country from fishing guides, recreational anglers, and from folks who only make it down to fish South Florida once every few years. Each and every person that got involved with this issue made a difference and should feel proud. We’ve taken the first step toward the long-term solution to this problem that we all deserve- But we still have a long way to go. Since its introduction, Senate Bill 10 underwent several drastic changes. It’s not what we originally hoped for, but it’s a lot better than where we stood a year ago. We’re not popping champagne bottles until we can float from Lake Okeechobee to Florida Bay. There’s a long road ahead, and policymakers and water managers have proven to us time and time again that we need to hold their hand all the way until the end. As anglers, it’s hard to get excited about pieces of paper being signed in Tallahassee. There is no end for us until the damaging Lake Okeechobee discharges and hypersaline conditions in the estuaries cease to occur, providing seagrass and oyster beds an opportunity to return to their former glory across the estuaries of South Florida. Moving forward, we need to continue to build momentum. Without continuing to build support, we will never see the light at the end of the tunnel. Captains for Clean Water will continue to work with all interested stakeholders- as the voice of anglers who make a living, recreate or travel to Florida- to see that those in charge of completing this project do so as planned, and ensure that Florida will continue to be the fishing capital of the world. We would like to extend a huge “Thank You” to the Florida Legislature for providing us the opportunity to continue the fight. Although we still have a long uphill battle ahead, we reached an important milestone with the passage of this legislation which is now on its way to be signed by the Governor. When sportsmen come together on an issue, we don’t put it to rest until the problem is solved. Thank you for allowing us, a group of captains, to fight for clean water for all Floridians.